Following a life-changing family tragedy, Ben seeks solace in his childhood friend Andrew. Despite being out of touch for many years, Andrew and his fiancée Lilly agree to take Ben in and help him get back on his feet. 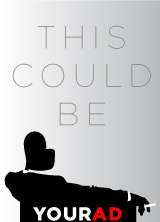 But with Ben comes emotional baggage — toxic behavior and a stridently stubborn worldview that tests Andrew and Lilly’s patience and threatens their relationship. 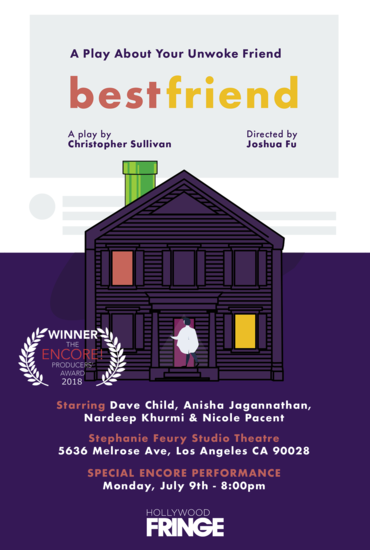 Touching on gender dynamics, Gamergate, toxic masculinity, and America’s culture war, Best Friend is the latest dark comedy from playwright Christopher Sullivan (Ensemble Studio Theatre’s Youngblood, USC John Welles Screenwriting MFA). In the age of wokeness, how far would you go to redeem your Unwoke friend?